Belbal 12 inch metallic finish assorted colour latex balloons. High quality Belbal latex balloons are helium quality. 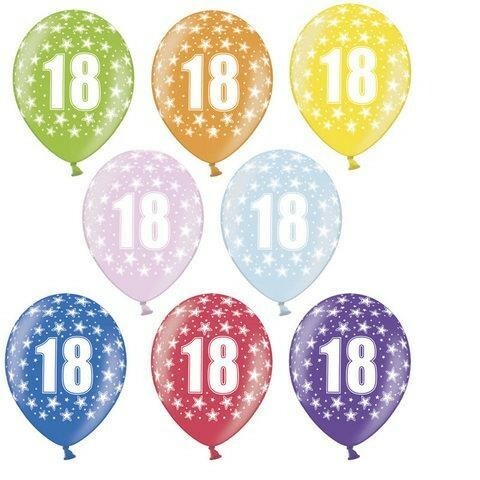 Balloons are printed with number 18 and stars all over in white ink. Perfect for decorating your party room. Other ages available 1-10, 16 and 21 Pack contains 50 balloons including green, yellow, orange, pink, pale blue, dark blue, red and purple.